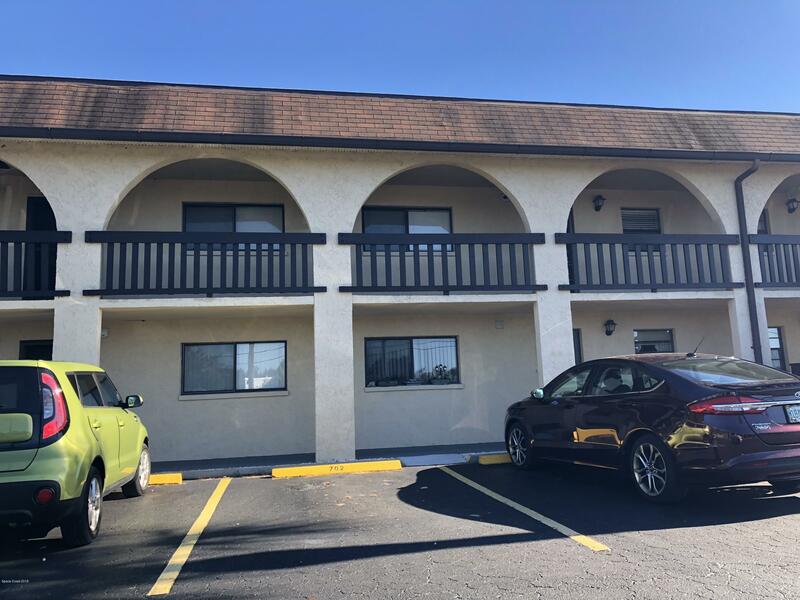 Beautiful 2/2 condo in central Merritt Island! Walking distance to major restaurants, grocery and other shopping! This unit has a large screened and tiled porch with plenty of shade to drink your morning coffee and enjoy the awesome Florida weather. The master bathroom has been updated with a granite vanity, it boasts a large walk-in closet and has lots of natural light from the sliding door access to the back porch. The living areas have a nice accents throughout to include ceiling fans, a chair rail, built-in storage, in-door washer and dryer, laminate flooring through-out, stainless steel refrigerator, double sink in the kitchen, range with a built-in microwave and a dishwasher! These units go really fast, make sure you don't miss out on affordable Merritt Island living!